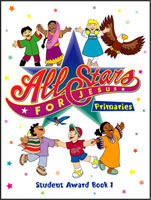 Did you know you can use the All-Stars for Jesus Awards Program with any curriculum, whether you're using All-Stars for Jesus Bible Clubs or a different curriculum? And if you use ASFJ curriculum, the Awards Program is elective, but is an important part of the Bible Club experience. It gives your leaders a chance to work one-on-one with kids and involve parents in your program. With the Awards Program, students learn important Bible verses and concepts while completing a variety of fun and creative activities and projects that will build a biblical foundation for their lives. 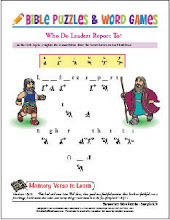 Children who are in the All-Stars for Jesus Explorers program for combined grades 1-6 will use the award book that corresponds to his or her age level. You will find more detailed information on how to run your Awards Program and much more in the All-Stars for Jesus Director's Manual. To learn more about All-Stars for Jesus Bible Clubs, visit eChurchDepot.com.